Clinicals offer MSN-FNP nursing students valuable opportunities to apply their knowledge to their practice. Why Choose the Family Nurse Practitioner Track Over Another Track? Walsh University’s online FNP program places your dream of becoming a family nurse practitioner within reach. Read more about Why Choose the Family Nurse Practitioner Track Over Another Track? Nursing is an exciting profession that can easily be transferred to other cities and states. With Ohio’s reputation and stature as one of the country’s main meccas of the healthcare system, it is a prime location for nurses to live and work. What Makes a Good Nurse Educator? Walsh’s MSN-NE program provides quality education that is online, affordable, and 100% online. Read more about What Makes a Good Nurse Educator? A good book can be so compelling that it keeps you up late at night or makes your miss your bus stop. A great book is one that captivates you with insights that can help you reach your professional goals. Why Get a Masters in Nursing Education? Earning an online MSN degree is the first step to becoming a nurse educator. Read more about Why Get a Masters in Nursing Education? 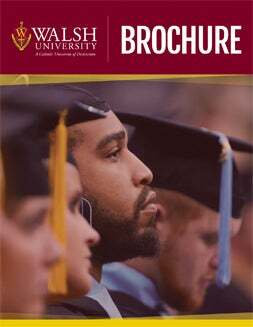 Ask students why they are pursuing a Master in Business Administration (MBA) degree with Walsh University, and they’ll probably say they are driven by wanting to change their career as well as the world of business. Read more about Where do MBA Students Want to Work After Graduation?